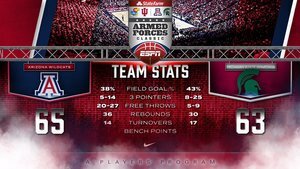 Fan chat rewind: Arizona Wildcats fall to Xavier Musketeers 73-71 in Sweet 16 Mar 23, 2017 Get a recap of news from Arizona's game against Xavier. 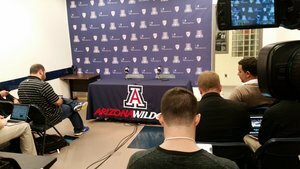 Live blog: Arizona Wildcats prepare for Sweet 16 showdown Mar 22, 2017 Follow along as Star reporters provide live updates from the Arizona Wildcats' media session and open practice in advance of their Sweet 16 game. Fan chat rewind: No. 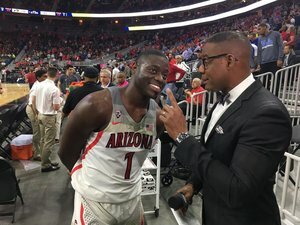 2 seed Arizona Wildcats take down No. 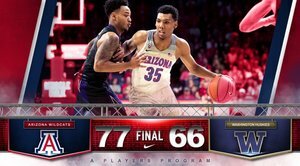 7 seed Saint Mary's Gaels to advance to Sweet 16 Mar 18, 2017 Get a recap of news from Arizona's 69-60 win over Saint Mary's. Fan chat rewind: No. 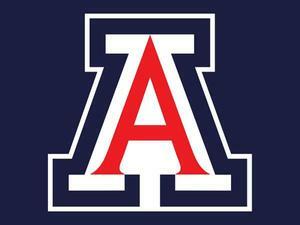 2 seed Arizona Wildcats take down No. 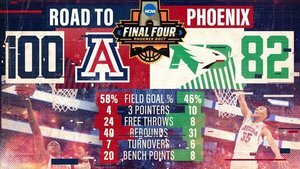 15 seed North Dakota Fighting Hawks 100-82 Mar 16, 2017 Get a recap of news from Arizona's win over North Dakota in the first round of the NCAA Tournament. Fan chat rewind: No. 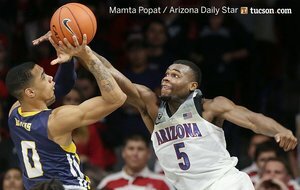 2 seed Arizona Wildcats hold off No. 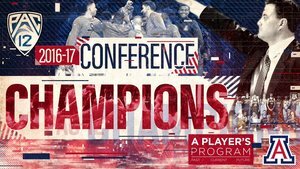 1 seed Oregon Ducks 83-80 to win Pac-12 Tournament championship Mar 12, 2017 Get a recap of news from Arizona's win over Oregon. Fan chat rewind: No. 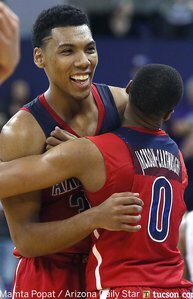 2 seed Arizona Wildcats take down No. 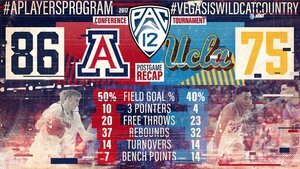 3 seed UCLA Bruins 86-75 to advance to Pac-12 Tournament championship game Mar 11, 2017 Get a recap of news from Arizona's win over UCLA. Fan chat rewind: No. 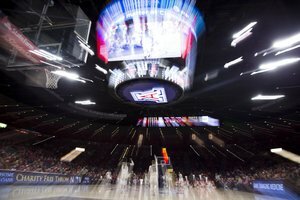 2 seed Arizona Wildcats roll past No. 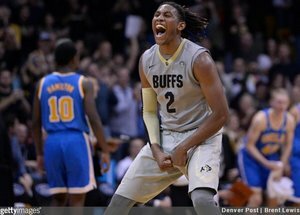 7 seed Colorado Buffaloes 92-78 Mar 9, 2017 Get a recap of news from Arizona's win over Colorado to advance to the Pac-12 Tournament semifinals. Fan chat rewind: No. 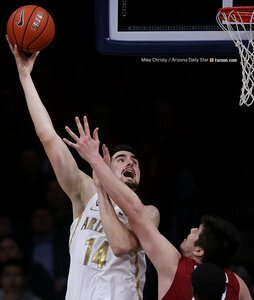 7 Arizona Wildcats take down Arizona State Sun Devils 73-60 Mar 4, 2017 Get a recap of news from Arizona's win over ASU. Live fan chat: No. 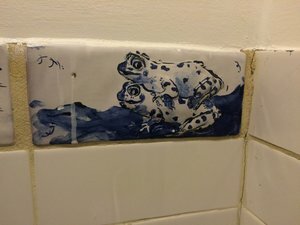 4 Arizona vs. No. 5 UCLA Feb 25, 2017 Chat with college basketball fans as the Wildcats host UCLA. Fan chat rewind: No. 4 Arizona Wildcats fall to No. 5 UCLA Bruins 77-72 Feb 25, 2017 Get a recap of news from Arizona's game against UCLA. 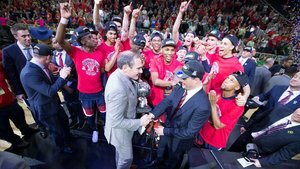 Live blog: Arizona Wildcats host ESPN's 'College GameDay' Feb 25, 2017 Follow along for updates from Star staffers during ESPN's broadcast of "College GameDay," live from McKale Center. Fan chat rewind: No. 4 Arizona Wildcats take down USC Trojans 90-77 Feb 23, 2017 Get a recap of news from Arizona's win over USC. Fan chat rewind: No. 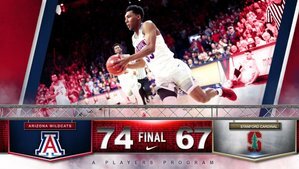 5 Arizona Wildcats take down Washington Huskies 76-68 Feb 18, 2017 Get a recap of news from Arizona's win over Washington. Fan chat rewind: No. 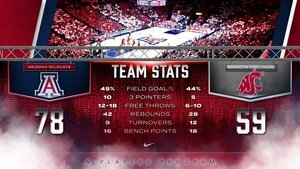 5 Arizona Wildcats roll past Washington State Cougars 78-59 Feb 16, 2017 Get a recap of news from Arizona's win over the Cougars. Fan chat rewind: No. 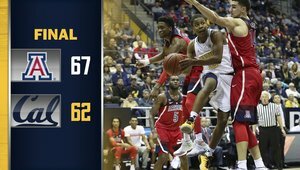 9 Arizona Wildcats take down Cal Golden Bears 62-57 Feb 11, 2017 Get a recap of news from Arizona's win over Cal. Fan chat rewind: No. 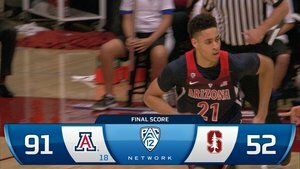 9 Arizona Wildcats take down Stanford Cardinal 74-67 Feb 8, 2017 Get a recap of news from Arizona's win over Stanford. Fan chat rewind: No. 5 Arizona Wildcats fall to No. 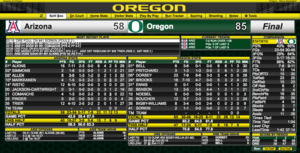 13 Oregon Ducks 85-58 Feb 4, 2017 Get a recap of news from Arizona's game against Oregon. 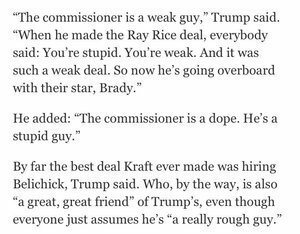 Did Donald Trump really tweet that? 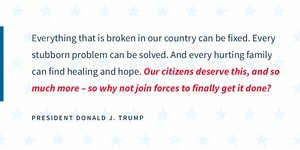 Feb 28, 2017 See what the new President has been tweeting in the middle of the night — and all day long. Fan chat rewind: No. 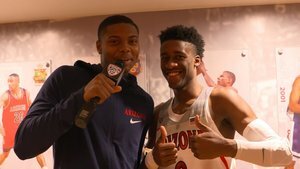 5 Arizona Wildcats take down Oregon State Beavers 71-54 Feb 2, 2017 Get a recap of news from Arizona's win over the Beavers. Live blog: Arizona Wildcats on National Signing Day Feb 1, 2017 - 6:45 AM MST Who's making it official? 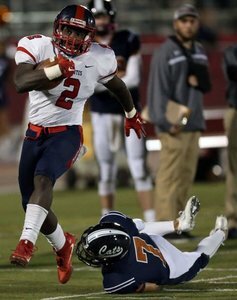 Keep up with the Arizona Wildcats football news as recruits sign their national letters of intent. Fan chat rewind: No. 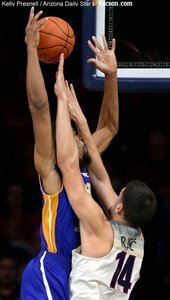 7 Arizona Wildcats take down Washington Huskies 77-66 Jan 29, 2017 Get a recap of news from Arizona's win over Washington. Fan chat rewind: No. 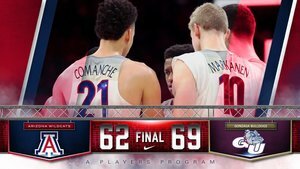 7 Arizona Wildcats take down Washington State Cougars 79-62 Jan 26, 2017 Get a recap of news from Arizona's win over the Cougars. Fan chat rewind: No. 14 Arizona Wildcats upset No. 3 UCLA Bruins 96-85 Jan 21, 2017 Get a recap of news from Arizona's 96-85 win over UCLA. Fan chat rewind: No. 14 Arizona Wildcats edge USC Trojans 73-66 Jan 19, 2017 Get a recap of news from Arizona's 73-66 win over USC. Fan chat rewind: No. 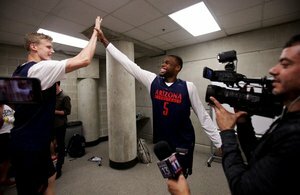 16 Arizona Wildcats roll past ASU 91-75 Jan 12, 2017 Get a recap of news from Arizona's win over ASU. Live fan chat: No. 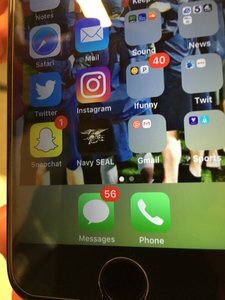 17 Arizona Wildcats 82, Colorado Buffaloes 73 Jan 7, 2017 Follow wat college basketball fans reported as the Wildcats took on Colorado. Fan chat rewind: No. 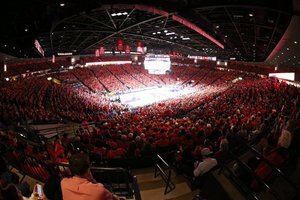 17 Arizona Wildcats take down Utah Utes 66-56 Jan 5, 2017 Get a recap of news from Arizona's win over Utah. Fan chat rewind: No. 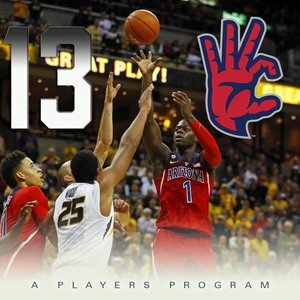 18 Arizona Wildcats defeat Cal 67-62 Dec 30, 2016 Get a recap of the game news. Live fan chat: No. 18 Arizona Wildcats vs. New Mexico Lobos Dec 20, 2016 Chat with college basketball fans as the Wildcats host New Mexico. 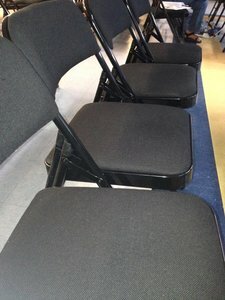 If you can't watch the game, get updates here. The game begins at 7 p.m., and the chat begins at 6:30. Fan chat rewind: No. 19 Arizona Wildcats take down Texas A&M Aggies 67-63 Dec 17, 2016 Get a recap of news from Arizona's win over Texas A&M. Fan chat rewind: No. 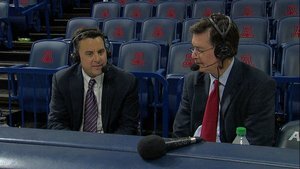 19 Arizona Wildcats take down Grand Canyon Antelopes 64-54 Dec 14, 2016 Get a recap of news from Arizona's game against Grand Canyon. Fan chat rewind: No. 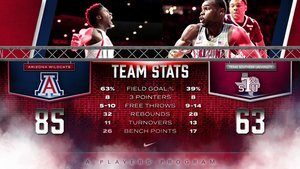 20 Arizona Wildcats roll past Missouri Tigers 79-60 Dec 10, 2016 Get a recap of news from Arizona's win over Missouri. Fan chat rewind: No. 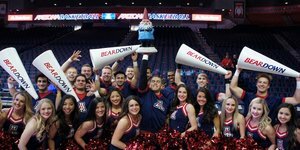 20 Arizona Wildcats roll past UC Irvine Anteaters 79-57 Dec 6, 2016 Get a recap of news from Arizona's win over UC Irvine. Fan chat rewind: No. 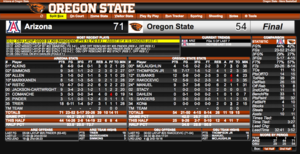 8 Gonzaga Bulldogs take down No. 16 Arizona Wildcats 69-62 Dec 3, 2016 The Wildcats never caught up to Gonzaga's early lead. 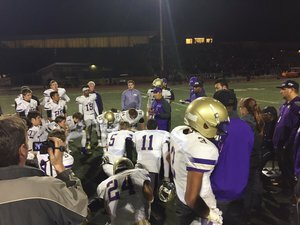 Live blog: Sabino Sabercats vs. Queen Creek American Leadership Academy Patriots Nov 26, 2016 Follow along for live updates from the Class 3A football state championship game between Sabino and Queen Creek American Leadership. 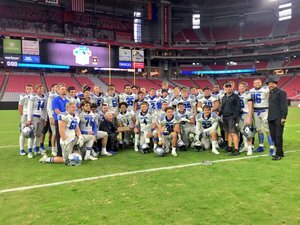 Blog rewind: Catalina Foothills falls to Scottsdale Saguaro 42-14 in 4A state championship game Nov 26, 2016 Get a recap of news from the 4A state championship football game. 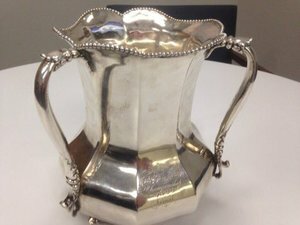 Fan chat rewind: Arizona beats ASU 56-35 in Territorial Cup; Wildcats basketball falls to Butler 69-65 Nov 26, 2016 Get a recap of news from Arizona's football game against ASU and basketball game against Butler. Live blog: No. 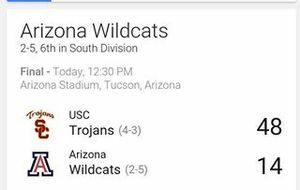 8 Arizona Wildcats vs. Santa Clara Broncos Nov 24, 2016 Follow along for live updates from Arizona's game against Santa Clara. Fan chat rewind: No. 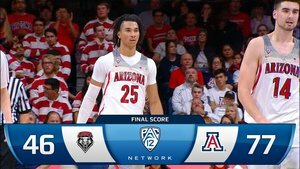 8 Arizona Wildcats take down Northern Colorado Bears 71-55 Nov 21, 2016 Get a recap of news from Arizona's game against Northern Colorado. 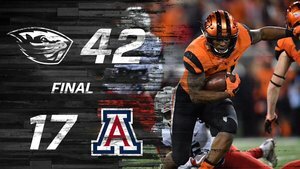 Fan chat rewind: Arizona Wildcats fall to Oregon State Beavers 42-17 Nov 20, 2016 Get a recap of news from Arizona's game against Oregon State. Live fan chat: No. 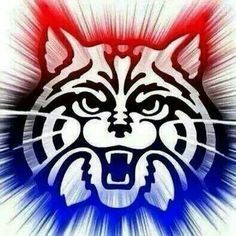 10 Arizona Wildcats vs. Sacred Heart Pioneers Nov 18, 2016 Chat with college basketball fans as the Wildcats host Sacred Heart. 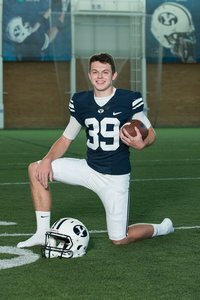 If you can't watch the game, get updates here. The game begins at 8 p.m., and the chat begins at 7:30. Live blog: El Tour de Tucson Nov 19, 2016 Follow live for updates from Saturday's Tucson Medical Center El Tour de Tucson presented by Casino del Sol. Fan chat rewind: Friday's final high school football state semifinal scores Nov 18, 2016 Get a recap of scores and news from tonight's high school football state semifinal playoff games. Fan chat rewind: No. 10 Arizona Wildcats down Cal State Bakersfield Roadrunners 78-66 Nov 15, 2016 Get a recap of news from Arizona's game against Cal State Bakersfield. 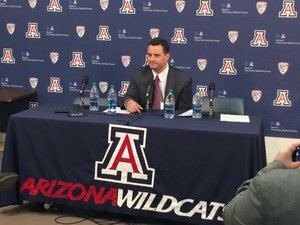 Live fan chat: Arizona Wildcats fall to No. 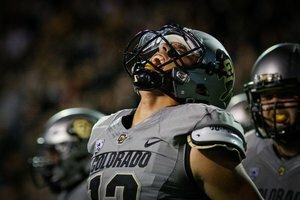 16 Colorado Buffaloes 49-24 Nov 13, 2016 Get a recap of news from Arizona's game against Colorado. Fan chat rewind: No. 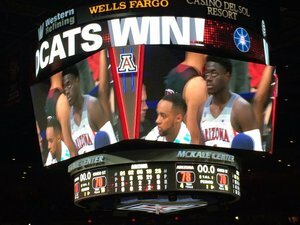 10 Arizona Wildcats edge No. 12 Michigan State Spartans 65-63 Nov 11, 2016 Get a recap of news from Arizona's 65-63 win over Michigan State in the Armed Forces Classic. Fan chat rewind: Thursday's final high school football state quarterfinal scores Nov 10, 2016 Get a recap of scores and news from tonight's high school football state quarterfinal playoff games. Live blog: Election 2016 Nov 10, 2016 Follow along all day for live election updates from Star reporters. 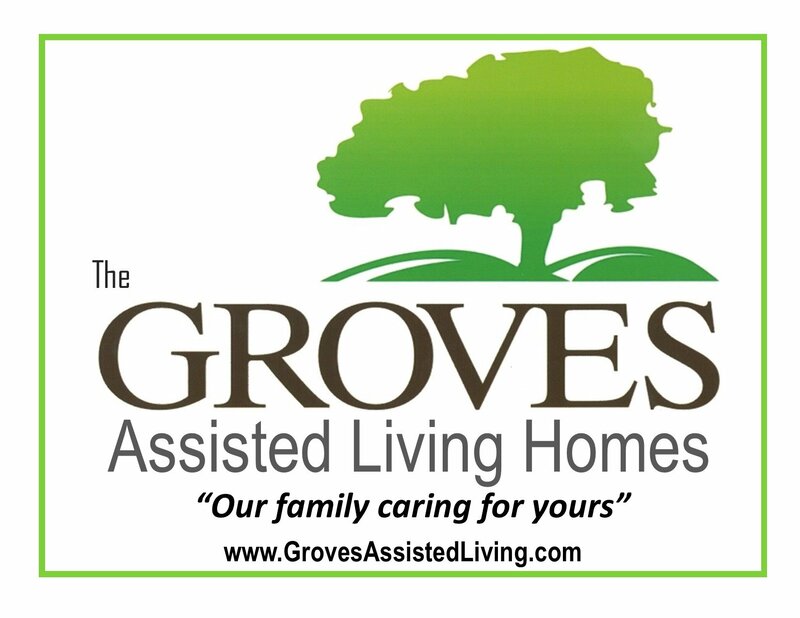 The polls close at 7 p.m. Fan chat rewind: No. 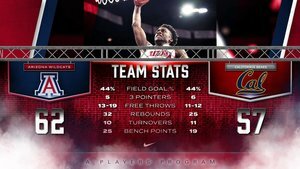 10 Arizona Wildcats take down Chico State 78-70 Nov 6, 2016 Get a recap of news from Arizona's exhibition game against Chico State. 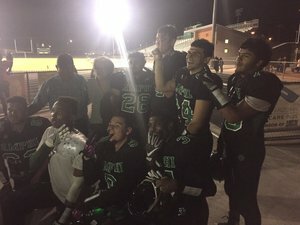 Fan chat rewind: Friday's final first-round high school football playoff scores Nov 4, 2016 Get a recap of scores and news from tonight's first-round high school football playoff games. Fan chat rewind: Arizona falls to Washington State 69-7 Nov 5, 2016 Get a recap of news from Arizona's game against Washington State. Fan chat rewind: No. 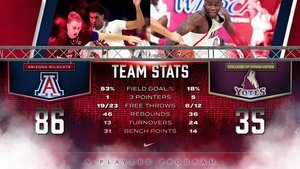 10 Arizona Wildcats roll past College of Idaho 86-35 Nov 1, 2016 Get a recap of news from Arizona's game against College of Idaho. 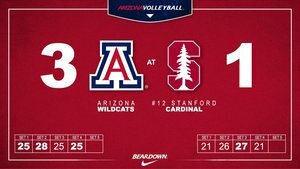 Fan chat rewind: Arizona Wildcats fall to Stanford Cardinal 34-10 Oct 30, 2016 Get a recap of news from Arizona's game against Stanford. 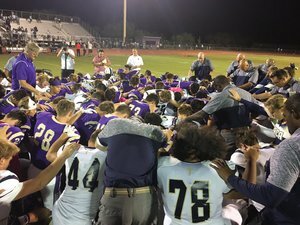 Fan chat rewind: Friday's final high school football scores Oct 28, 2016 Get a recap of scores and news from tonight's high school football games. 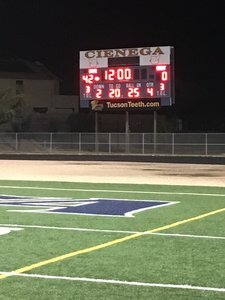 Fan chat rewind: Friday's final high school football scores Oct 21, 2016 Get a recap of scores and news from tonight's high school football games. 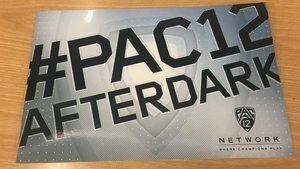 Live blog: Arizona Wildcats at Pac-12 basketball media day Oct 21, 2016 Follow the Star's Bruce Pascoe and Jon Gold live from Pac-12 media day in San Francisco. 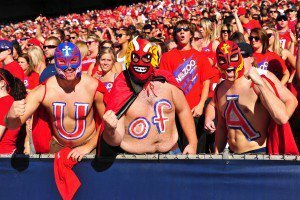 Fan chat rewind: Arizona Wildcats fall to USC Trojans 48-14 Oct 15, 2016 Get a recap of news from Arizona's game against USC. 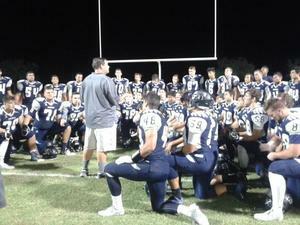 Fan chat rewind: Friday's final high school football scores Oct 14, 2016 Get a recap of scores and news from tonight's high school football games. Fan chat rewind: Arizona Wildcats' Red-Blue Game Oct 14, 2016 Get a recap of news from Arizona's Red-Blue Game. Fan chat rewind: Arizona vs. No. 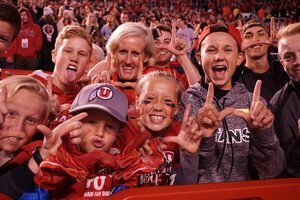 24 Utah Oct 8, 2016 Get a recap on the game between the University of Arizona Wildcats and the Utah Utes. Fan chat rewind: Arizona Wildcats vs. UCLA Bruins Oct 4, 2016 - 1:22 PM MST Get a recap of news from Arizona's game against UCLA. 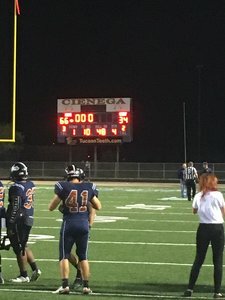 Fan chat rewind: Friday's final high school football scores Oct 6, 2016 Get a recap of scores and news from tonight's high school football games. 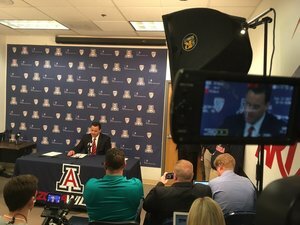 Live blog: Arizona Wildcats basketball media day Sep 29, 2016 - 2:00 PM MST Follow the Star's sports staff live as Sean Miller and players meet the media for the first time this season. Fan chat rewind: Arizona vs. No. 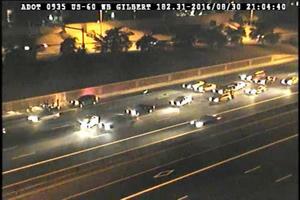 9 Washington Sep 24, 2016 Get a recap of news from Arizona's game against Washington. 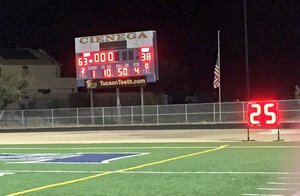 Fan chat rewind: Friday's final high school football scores Sep 23, 2016 Get a recap of scores and news from tonight's high school football games. 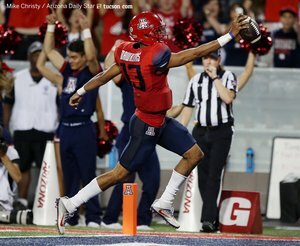 Fan chat rewind: Arizona rolls past Hawaii 47-28 Sep 18, 2016 Get a recap of news from Arizona's win over Hawaii. 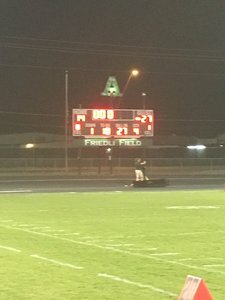 Fan chat rewind: Friday's final high school football scores Sep 16, 2016 Get a recap of scores and news from tonight's high school football games. Fan chat rewind: Arizona vs. Grambling State Sep 11, 2016 Get a recap of news from Arizona's win over Grambling State. 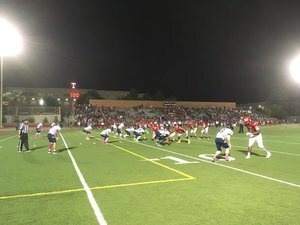 Fan chat rewind: Friday's final high school football scores Sep 9, 2016 Get a recap of scores and news from tonight's high school football games. Fan chat rewind: Arizona vs. BYU Sep 3, 2016 Get a recap of news from Arizona's season opener against BYU. 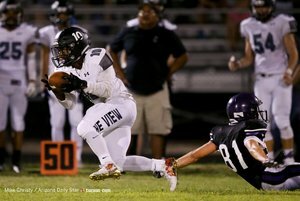 Fan chat rewind: Friday's final high school football scores Sep 2, 2016 Get a recap of scores and news from tonight's high school football games. 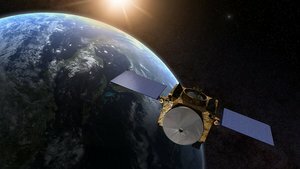 Live blog: OSIRIS-REx launch Sep 8, 2016 Follow along for live updates from the launch of OSIRIS-REx. 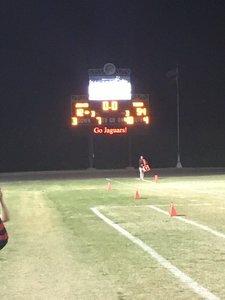 Fan chat rewind: Friday's final high school football scores Aug 26, 2016 Get a recap of scores and news from tonight's high school football games. 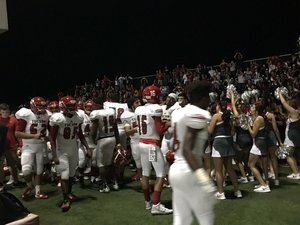 Fan chat rewind: Friday's final high school football scores Aug 19, 2016 Get a recap of scores and news from tonight's high school football games. Live blog: Vice Presidential candidate Mike Pence in Tucson Aug 2, 2016 Follow along with Star reporters and others during Mike Pence's visit to Tucson today. Blog rewind: Day 2 of Pac-12 Football Media Days Jul 15, 2016 Get a recap of Day 2 of Pac-12 Football Media Days. 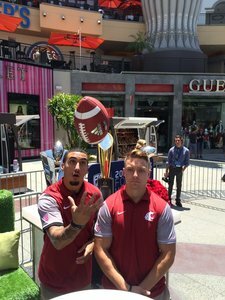 Blog rewind: Day 1 of Pac-12 football media days Jul 14, 2016 Get a recap of news from Day 1 of Pac-12 football media days. 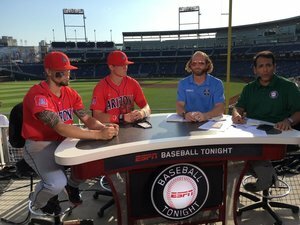 Fan chat rewind: Arizona vs. Coastal Carolina in College World Series championship game Jun 30, 2016 Get a recap of news from Arizona's 4-3 loss to Coastal Carolina in the College World Series championship game. 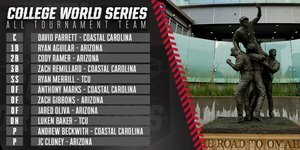 Fan chat rewind: Arizona-Coastal Carolina College World Series championship game postponed until Thursday Jun 29, 2016 The College World Series championship game has been postponed until Thursday at 10:08 a.m. 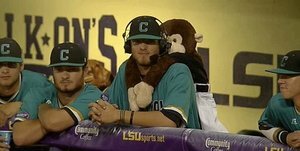 Fan chat rewind: Arizona vs. Coastal Carolina in Game 2 of College World Series finals Jun 28, 2016 Get a recap of news from Arizona's 5-4 loss to Coastal Carolina in Game 2 of the College World Series finals. 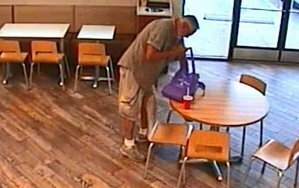 Live blog: Monsoon 2016 Aug 30, 2016 As the monsoon picks up, keep abreast of the news here, and post your photos with #tucsonmonsoon. 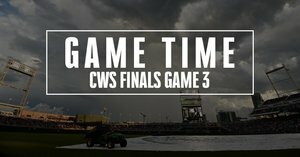 Fan chat rewind: Arizona vs. Coastal Carolina in Game 1 of College World Series finals Jun 27, 2016 Get a recap of news from Arizona's 3-0 win over Coastal Carolina in Game 1 of the College World Series finals. Fan chat rewind: Arizona vs. Oklahoma State in College World Series Jun 25, 2016 Get a recap of news from Arizona's 5-1 win over Oklahoma State that sends the Wildcats to the College World Series finals. 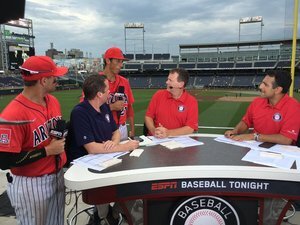 Fan chat rewind: Arizona vs. Oklahoma State in College World Series Jun 24, 2016 Get a recap of news from Arizona's 9-3 win over Oklahoma State in Friday's College World Series game. 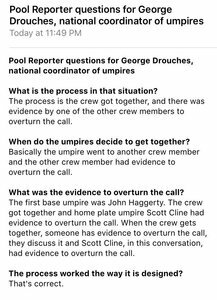 Live fan chat: Arizona vs. UC Santa Barbara in College World Series Jun 22, 2016 Chat with college baseball fans as the Wildcats take on UC Santa Barbara in an elimination game at the College World Series. 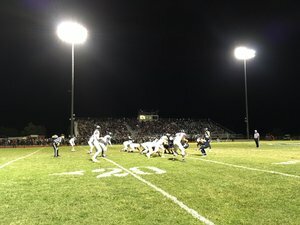 If you can't watch the game, get updates here. The game begins at 4 p.m., and the chat begins at 3:30. Fan chat rewind: Arizona vs. Oklahoma State in College World Series Jun 20, 2016 Get a recap of news from Arizona's 1-0 loss to Oklahoma State in its second game of the College World Series. 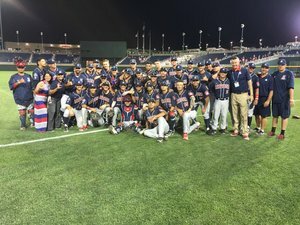 Fan chat rewind: Arizona vs. Miami in College World Series Jun 18, 2016 Get a recap of news from Arizona's 5-1 win over Miami in its first game of the College World Series. 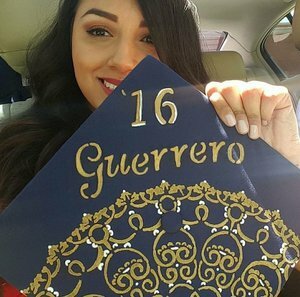 Live blog: TUSD meeting Jun 14, 2016 Star reporter @AlexisHuicochea is tweeting live coverage of tonight's Tucson Unified School District meeting. 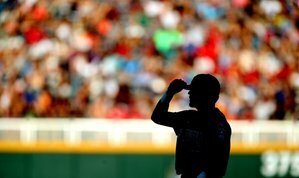 Live blog: Arizona vs. Mississippi State in NCAA Super Regional Jun 12, 2016 Follow along for live updates from Arizona's NCAA Super Regional series against Mississippi State. Live blog: Arizona vs. Auburn in NCAA Super Regional May 29, 2016 Follow along for live updates from Arizona's NCAA Super Regional matchup with the Auburn Tigers. 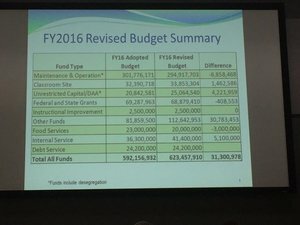 Live blog: TUSD meeting May 24, 2016 Star reporter @AlexisHuicochea is tweeting live coverage of tonight's Tucson Unified School District meeting. 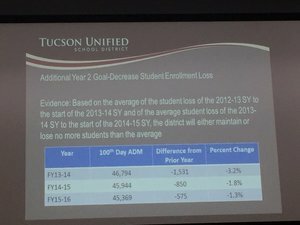 Live blog: TUSD meeting May 10, 2016 Star reporter @AlexisHuicochea is tweeting live coverage of tonight's Tucson Unified School District meeting. 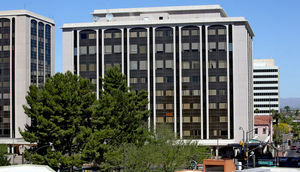 City Council meeting: Broadway widening live blog Apr 19, 2016 Arizona Daily Star reporter Becky Pallack is live tweeting at tonight's Tucson City Council meeting. 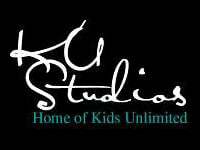 Then and Now series transcript: How it was accomplished Apr 13, 2016 Join Star photographer A.E. Araiza — better known as Fred in the newsroom — as he shares how he approached the journey into history that became the “Then and Now” series. 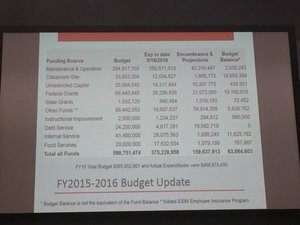 Live blog: TUSD meeting Apr 5, 2016 Star reporter @AlexisHuicochea is tweeting live coverage of tonight's Tucson Unified School District meeting.